More than 40 million family caregivers across the U.S. provide unpaid assistance to aging parents, spouses and other loved ones. A 2017 Caring.com survey showed that nearly 40 percent of these caregivers commit to a schedule greater than 30 hours per week. As demanding and emotionally taxing as it is, a caregiver’s work must often be added onto other responsibilities, leaving little time for one to think of themselves. This is why finding effective coping strategies is vital to avoid the common pitfalls of isolation, stress, burnout and deteriorating mental health. Although being in a caregiving role does give us the chance to spend time with someone close to us and to show them our support in a meaningful way, caretakers are also very likely to run into emotional and medical challenges. From budgetary constraints to emotional stress, caring for an aging loved one can stretch you beyond what you think you’re capable of handling. It’s important for caregivers to remember that they’re far from alone in what they’re facing, and that there is a wealth of resources available to help them cope. A 2016 University of Pittsburgh study that drew from the experiences of 91 caregiving families shows that caregivers with a greater sense of self-efficacy (the belief that you can handle a situation) were less likely to be depressed. While you know better than anyone the specific problems you and your loved one must address, you can still learn a lot from other caregivers and experts. Having access to the insights of people who understand your situation can make a major difference in your life, and in the lives of your dependents. These types of groups, whether online or off, connect you with like-minded people who have shared experiences, making them a good place to vent, seek support during hard times and find long-term friends who are also family caregivers. “One thing many caregivers tend to neglect is their own health,” says Rushing. But being surrounded by experienced caregivers lets you take a break from the activity directed toward keeping your loved one safe and spend some time on yourself. People who are dealing with similar struggles can also support each other in taking a break and seeking temporary respite from caregiving stressors. Sometimes, simple recognition that you’re facing challenging tasks from those who truly understand what you’re going through can provide the foundation you need to weather the next day or week. Caregiver support groups include people outside of your own family or social system who can provide an ear to listen or a shoulder to cry on, providing much-needed support without causing you to worry about burdening family members who may be dealing with the same issues. Confidentiality is usually a practice of any caregiver support group and is typically enforced by official groups led by a professional. If you’re part of a support group on Facebook or other online platform, make sure you understand confidentiality rules before you share things that you may not want repeated outside of that forum. In addition to connecting you with people who understand what you’re going through, caregiver support groups also provide a valuable resource. “You can learn from other caregivers on how they manage some of the same types of issues you face,” says Colorado-based psychologist Dr. Wyatt Fisher. Research shows that the average duration of an individual’s role as a caregiver is about four years, so if you’re in it for the long haul, finding ways to stave off burnout is crucial. Finally, Dr. Rochester notes that joining a caregiver support group can help improve your overall mental health. Taking time to step outside of your caregiver role to find support and make connections with others is essential to managing your own mental and physical health. Caregivers should never feel guilty about taking this time for themselves. One key concept to remember is that the healthier you are, the better equipped you’ll be to help your loved one stay healthy. Many of the nearly one in four people who are caring for another adult miss out on the bounty of resources available, either because they’re not aware that they exist or because they don’t understand what these resources can offer them. There are dozens, if not hundreds of local and national organizations whose sole mission is to help caregivers. 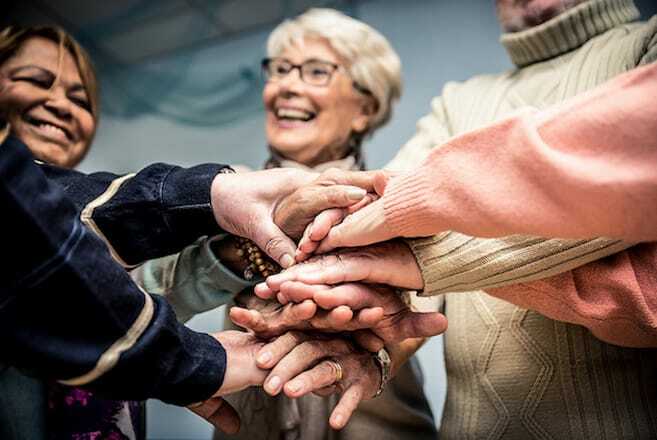 The following groups can help you solve practical problems, lighten your stress load, learn about common problems of aging, connect with others in similar situations and otherwise simplify the many challenges that caring for an older adult can bring. The Area Agencies on Aging is a national social services network instituted by the U.S. Administration on Aging. A key part of the National Aging Services Network, the AAA is comprised of over 600 regional information centers. The Area Agencies on Aging can provide general information about eldercare and referrals to aging-related services and programs in your community. The exact names of individual office locations can vary, but organizations that are part of the Area Agencies on Aging network are your single best bet for identifying eldercare services in any community. All information and referrals provided by the AAA are free and services that consumers are referred to are often free or inexpensive. Check the National Association of Area Agencies on Aging website or go directly to the federal Eldercare Locator. Call them at 800-677-1116. Pioneers in the area of promoting and supporting caregiver needs, the FCA was founded in 1977 to create support for long-term care services in San Francisco. They still operate many California-based educational and support programs, including one-on-one social work counseling for San Francisco Bay Area residents, but their advocacy work and caregiver education outreach is now nationwide. The National Center on Caregiving is an FCA offshoot formed in 2001 to develop policies and programs to support caregivers in all 50 states. Their Family Care Navigator tool is a handy list of safety-net services in each state. You’ll find links to government agencies and also nonprofit and for-profit services in your area. The Family Care Navigator also includes links to national agencies and services. This advocacy, research and education group focuses on family caregivers (of aging parents and of other disabled adults or children). Visit Family Caregiver Alliance online or call toll-free at 800-445-8106. The National Alliance for Caregiving is a nonprofit coalition of a wide mix of more than 30 groups that share an interest in family-based eldercare. Members include service and advocacy groups, corporations, grassroots groups and more. Formed in 1996, the coalition produces research and policy suggestions intended to improve the quality of life for family caregivers. Mainly, this influential advocacy group helps individual caregivers indirectly by analyzing public policy and conducting research on topics like the economic and personal impact of caregiving. It also produces public awareness campaigns and promotes state and local caregiving coalitions. The NAC website can direct you to tip sheets, webcasts, podcasts and publications providing basic caregiver advice on issues like long-term care planning or caring for someone who is depressed. Visit the National Alliance for Caregiving online. Meals on Wheels is the largest and oldest meal service organization in the U.S., originally part of a Philadelphia program established in the 1950s. In 1976, the organization began partnering with senior nutrition programs nationwide to provide the resources, manpower, tools and information needed to fight the problem of senior hunger. Using their Find a Meal tool, you can locate one of the more than 5,000 senior nutrition programs serving hot meals to older adults across the country. 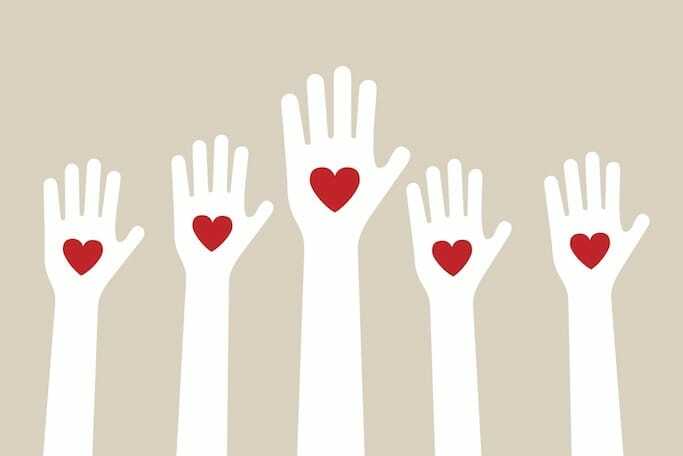 While primary caregivers may not have the time to volunteer themselves, relatives and friends can “give back” by going through the MOWAA website to volunteer time in their communities, making deliveries, preparing meals, driving or providing office help. Volunteers are the backbone of the Meals on Wheels program. Go online to Meals on Wheels Association of America or call at 888-998-6325. The Independent Transportation Network is a national nonprofit transportation service for older adults, marrying information technology with grassroots support. It was founded by Katherine Freund, the mother of a toddler injured by an older driver. After the accident, Freund decided that a flawed transportation system for older adults — not the older driver himself — was to blame and she vowed to change this. Those who need rides for non-emergency purposes may apply through a local affiliate group, paying a membership fee ($40 annually) and financing a transportation account based on estimated usage. Rides cost an average of $9 and are provided in private cars driven by pre-screened volunteers. Rides can be planned in advance or arranged as needed. This fast-growing service is still relatively new and thus is mainly available in urban areas. Visit ITN America online or call for more information at 888-998-6325. The NCOA is a nonprofit service and advocacy group in Washington, D.C. that bills itself as a national voice for older Americans and the community organizations that serve them. The organization works with thousands of groups nationwide to build creative solutions to aging service needs, including many programs for the public. Formed 60 years ago as the National Committee on Aging (and renamed in 1960), this influential mega-group has been involved in the formation of many influential initiatives, including the American Association of Homes for the Aging, Meals on Wheels, Foster Grandparents and the Center for Healthy Aging. Using their comprehensive screening tool called BenefitsCheckUp, consumers can find out which benefits their loved ones are eligible for. NCOA’s Home Equity Advisor also provides tools to help users learn how to protect the value of a home. Visit the National Council on Aging online or call 571-527-3900. Next Step in Care Family Caregivers & HealthCare Professionals Working Together is part of the United Hospital Fund, a New York-based organization that promotes high-quality, patient-centered care. In 2006, the fund created a task force to develop an initiative that would help family caregivers through care transitions and Next Step in Care was born. It is intended for both healthcare providers and family caregivers and focuses on transitions into and out of hospital care as well as to and from long-term care and rehabilitation programs. Because caregivers tend to be left out of the discharge planning loop, they are often caught off guard by the complexities of transitioning a loved one from a facility back into the home or into a new care situation, such as a hospital, long-term care facility or a rehabilitation center. Next Step in Care has created detailed guides and checklists to help you ask smart questions and be prepared for these transitions. Next Step in Care online materials can be viewed from a smartphone or other device so that you have them on hand in the event of an ER visit or while away from home. The checklists and forms are also downloadable as PDFs. Visit Next Step in Care online. Providing care to a chronically ill husband, wife or life partner brings particular challenges. This group connects you with others who have been there (or are also there now) for a unique kind of support. Before one-on-one advice and support are initiated, Well Spouse pairs caregivers with a mentor who has been through similar experiences. A forum and chat line are available to everyone, though paying members ($30 per year) also have access to local support groups, new telephone support groups, newsletters and weekend respite events. Visit the Well Spouse Association online or call 732-577-8899. The VA employs professional coordinators who provide support specifically designed for caregivers of U.S. military veterans. 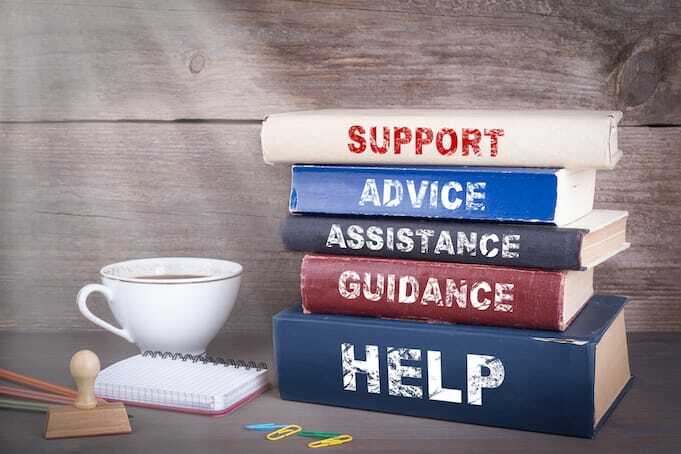 Coordinators can connect you with services for which you’re eligible, such as adult daycare centers, home-based care services (skilled and unskilled), a telehealth program (education, training and support for those who don’t live near a VA center) or a home hospice program. Go online to learn more about VA Caregiver Support. To reach the National Caregivers of Veterans Support Hotline, call 855-260-3274. Medicare is the federal health insurance system for people with certain disabilities or who are over age 65. Their website offers a broad variety of Medicare-related information, including information specifically designed for family caregivers. On Medicare.gov, consumers can find out what types of expenses the various Medicare programs cover, see videos about topics like hospital discharge planning and learn about sources of caregiver support, including first-person stories, to-do lists and state-by-state lists of helpful organizations. You can also submit questions about which tests, items and services are covered and receive a list of links with possible answers. In no particular order, we have compiled a list of what we feel are the best caregiving-related books of the past several years. Our roundup includes stories from caregivers who’ve been there, encouraging news on the latest breakthroughs in Alzheimer’s disease treatment and practical how-to guides for anyone caring for an elderly person. “The Conscious Caregiver” should be on everyone’s list of most helpful books for caregivers. Linda Abbit, expert caregiver and founder of Tender Loving Eldercare, shares invaluable advice for gracefully handling the role of caregiver. She discusses the hard work, patience and emotional stress that caring for another person can cause. She also writes about how common it is for caregivers to sacrifice their own well-being for the good of another person and how doing so can be counterproductive. This compassionate guide emphasizes the importance of caring for yourself while you simultaneously care for a parent or other aged relative. “While They’re Still Here: A Memoir” is a poignant, first-person account of a daughter who is unexpectedly thrust into the role of caregiver for her aging parents. Author Patricia Williams describes how it feels to overcome a lifetime of painful wounds caused by infidelity, opposing politics and alcoholism as she struggles to support her parents with grace and courage. This touching book covers heavy topics while artfully incorporating just the right amount of humor and entertainment throughout. Caregivers struggling to accept the role will find comfort and wisdom in this raw and honest story. The grip of Alzheimer’s disease relentlessly pulls away at memories and changes those afflicted on a fundamental level. Author and former Wisconsin Governor Marty Schreiber is intimately familiar with the illness. As the primary caregiver for his beloved wife, Elaine, Marty learned how to love and care for the new Elaine, even as the wife he loved so much slowly retreated. His caregiving book “My Two Elaines: Learning, Coping and Surviving as an Alzheimer’s Caregiver” is infused with patience, guidance and even humor as he talks about how to provide round-the-clock care to the loved one who no longer recognizes you. “Living with Dying: A Complete Guide for Caregivers” is one of the year’s most informative, practical books for caregivers. Authors Katie Ortlip, RN, LCSW and Jahnna Beecham offer easy-to-follow tips for addressing various symptoms, having tough conversations with your aging loved one and giving the best possible care. The book also lays out steps for getting your loved one’s affairs in order and coping with the dying process without losing yourself. This down-to-earth book is full of compassionate advice designed to give caregivers hope, strength and courage to navigate one of the most emotionally and spiritually challenging responsibilities anyone can face. In this book, former research scientist and hospice quality consultant Melanie Merriman delivers a raw, matter-of-fact take on one of the most universally challenging roles a person can assume: that of caregiver. The author shares her own personal experience to paint a stirring picture of what it’s like to guide and support a parent through old age. With a wisdom that can only be gained by overcoming these challenges, Merriman provides current and potential caregivers with an eye-opening look into the struggles and joys that come along with this responsibility. Alzheimer’s disease and other types of dementia can leave a trail of devastation in their wake, but it’s possible to find a glimmer of hope amid the gloom. “The Spectrum of Hope: An Optimistic New Approach to Alzheimer’s Disease and Other Dementias” provides a more positive outlook on a disease that often feels like a prison to those who have it and to their families. Author Gayatri Devi, a neurologist with more than 20 years specializing in memory loss and dementia, offers encouragement to those with dementia and their loved ones and emphasizes the possibilities for living a fulfilling life even as the disease progresses. Topics covered in the book include maintaining independence, communication with someone who has dementia and dealing with dementia-related behaviors like paranoia. Many caregivers wish their responsibilities came with a concise, comprehensive guide. “A Guide for Caregiving: What’s Next?” may just be the closest thing to it. Best-selling author and nurse Tina Marrelli covers almost every conceivable topic on caring for an elderly family member or friend. From patient advocacy to end-of-life care, this book breaks down the sometimes impossibly difficult task of caring for another human being into manageable pieces. Her conversational approach makes challenging concepts more understandable for the average caregiver. “Chocolate” and “courage” are just a couple of the key words that author Michael Fortuna believes define the life of a caregiver. His book, “Caregiver Defined: Words That Honor the Work of the Caregiver” takes a unique and heartfelt approach to honoring the work of family caregivers, painting a picture of the role with an inspirational collection of key words and images. The author draws from his own personal experience to present descriptions of the journey of caring for another person, accompanied by beautiful illustrations by Peg Lee. The combination makes for an inspirational tribute to the often thankless work caregivers do each day. More and more caregivers today are sharing their own experiences and insights via blogs. These webpages do more than provide useful tips and techniques. They also allow you to take part in an online community and social support system, which is especially beneficial if you and your loved one are isolated. If you have access to a computer or smartphone, you can easily reach out to others through caregivers’ blogs. Also, you can often ask the bloggers or readers questions directly through the comments sections or via direct email. What do the best blogs have in common? They remind us we’re not alone. They give us a mirror, a place to go to, a pal who has dealt with some of the same fears and frustrations we have. The best blogs remind us of why we do what we do. They remind us to take a minute. That it’s okay, we’re okay. The best blogs invite us to tag along. We have put together a list of 12 of the best blogs out there to help family caregivers on their own journeys. Who knows, maybe you’ll be inspired to start blogging about your caregiving experience! Blogger, author and speaker Dale Carter is a long-distance caregiver to her mother and a passionate believer in informed caregiving. She is author of the book “Transitioning Your Aging Parent”. Carter’s seven-year-old blog features guest bloggers who touch on all aspects of caregiving, from practical issues such as finances and housing to hsd personal experiences as a caregiver and speaker who connects with caregivers nationally. The blog also features video and audio presentations by Carter on topics like “mindful caregiving,” plus interviews with caregiving experts. Lifelong educator Marti Weston created this extensive blog as a way to organize her experiences living with aging parents. Her years of blog posts provide a wealth of resources to caregivers and others living and working with the elderly, including issues such as managing Medicare and treating the elderly with respect and consideration. Her main blog is also linked to other blogs that focus on specific issues such as her experience with detached retinas and her father’s experience learning to use an iPad. Her posts also cover deep and personal topics such as talking about and experiencing the death of a parent. This blog was started by Bob DeMarco, who left a professional career on Wall Street to become a full-time caregiver for his mother in Florida. DeMarco created this blog to provide resources and information for other Alzheimer’s caregivers. You’ll find less of DeMarco’s personal story and more of the practical strategies you may need, such as how to get someone with Alzheimer’s to brush their teeth. As the field of Alzheimer’s disease research and care can change rapidly, it helps to have resources like this one with the most up-to-date information. 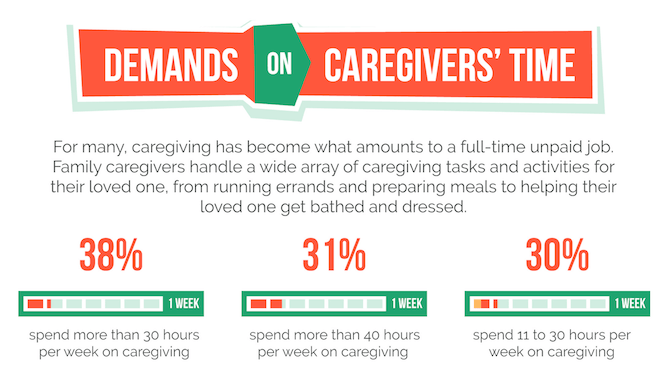 With caregiving, even common, daily tasks can be a significant challenge. Susanne White became a caregiver when her father collapsed with walking pneumonia due in part to his exhaustion from caring for her mother. At that moment it became clear to White that those daily tasks and interactions were proving overwhelming for her parents. White stepped in to help her father care for her mother, who was in the early stages of Alzheimer’s disease. Although both of her parents have now passed, White continues to maintain her blog and site as a resource for other caregivers. Blogger and site developer Lynn Greenblatt began this blog as a way to share the knowledge she gained as she dove into caregiving for her husband. As she notes in her “About” section, this was a job that she had no training for – much like many other caregivers. Her site offers caregivers’ personal stories, caregiving tips and detailed information about practical issues that arise when caring for an aging loved one, from health and nutrition to estate planning and medication management. The Family Caregiving Alliance maintains this blog as a way for caregivers to share their stories. You’ll find experiences from caregivers in a wide range of situations, from adults caring for aging parents and siblings to parents caring for children with special needs. The site also provides links to resources and more information about practical topics, such as legal advocacy and different health conditions that may be affecting your loved one. Caregiver Lynda Shrager, MSW has been a caregiver for her mother and her child and is also a breast cancer survivor. Her training and experience in occupational therapy and social work shine through her posts. Her accessible style of writing emphasizes organizational strategies that can make caregiving easier and more efficient. Shrager is the author of “Otherwise Healthy – A Planner to Focus Your Thoughts on Organizing Life after Being Diagnosed with Breast Cancer,” and regularly writes the newspaper column “Mom’s RX,” which appears in publications nationwide. This blog is one of the many resources the AARP makes available to its members and the public. It features a range of practical information that may be of use to caregivers and their loved ones. Recent posts touch on the importance of self-care for caregivers, policies that affect caregiving families, personal stories from caregiving families and the value of assistive devices, such as hearing aids. “Shake, Rattle and Roll” is a personal blog written by Kate Kelsall, a woman in her 60s who has been living with Parkinson’s disease for over 15 years. Kelsall writes about life with Parkinson’s disease as well as the experience of someone being cared for by loved ones. Few of those receiving care write about their experiences, but Kate opens up about her life, her marriage and her treatment with incredible resiliency and a wicked sense of humor. “The Battle We Didn’t Choose: My Wife’s Fight with Breast Cancer” is both a blog and a photo journal and it shares one young couple’s experience with cancer. Through black and white photos, Jennifer’s husband, Angelo, lets us into their world. As a spouse, he reminds us of what it’s like to try to be there for those we love and what it’s like to try to meet their needs even when they can’t express them. Angelo writes that it was difficult for family and friends who were not in their day-to-day lives to comprehend what they were going through, but the photos opened their awareness. We see Jennifer with and without hair. We see her putting on mascara even though her head is bald. We see her floating in a sea. We see the exhaustion and the frustration in a way words could never convey. But we also see the two of them side by side with clown noses. We see the whole of their lives and even though Jennifer lost her fight with cancer, we still get to keep her, keep them — and that’s pretty amazing. One of the biggest fears of caregiving is that as overwhelming, exhausting and frustrating as it is, it will end. We think our story (or blog) ends when caregiving ends, but it doesn’t. Elaine is a storyteller and she shares her journey as caregiver to her husband and the loss of her husband, in her blog. Since 2008, Elaine has continued to blog, opening our hearts and minds to what it means to walk through and beyond caregiving. Elaine draws on her extensive background in nutrition, palliative care and bereavement counseling. Her writing reflects her 40 years as a student of Jungian psychology, mythology, philosophy and meditation. As a teacher and mentor, Elaine facilitates a support group called Continuing Bonds at Hospicare of Ithaca for women who have lost their partners and spouses. She also writes for the Hospicare and Palliative Care of Tompkins County newsletter and website in upstate New York, where she retired from her work as a nutritionist, exercise trainer and women’s health counselor in 2011. Elaine’s blog reflects the day-to-day questions and insights of what it means to “go on,” to find new purpose and to hold dear the memories of those we’ve lost. We get to know this intelligent, brave woman on days when she doesn’t feel so brave. On days when she’s contemplative, searching for comfort and finding new guides as she walks us through the tentative paths of grief and loss. 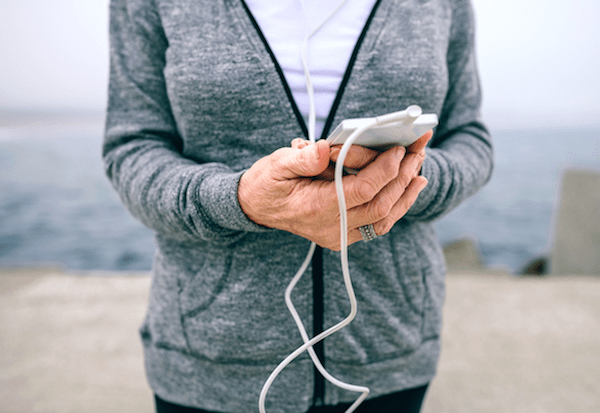 You’re now acquainted with plenty of books and blogs about caregiving, but have you thought about giving podcasts a try? There are a number of podcasts available today that provide invaluable caregiver information. Additionally, the unique format gives busy caregivers the chance to listen and learn while completing other tasks, such as driving and cleaning. Here are some of the best caregiving podcasts to add to your playlist. If you’re looking for a weekly podcast that delves into a wide variety of caregiving issues, try Caregiver SOS, presented by the WellMed Charitable Foundation. This hour-long show hosted by noted broadcaster Ron Aaron provides essential caregiver information from gerontologist Carol Zernial and author Dr. James Huysman PsyD. Topics range from end-of-life communication to new healthcare technology. There are also episodes about senior living arrangements, legal issues and long-distance caregiving. Humor is one of the most effective ways to cope with the challenges of caregiving and the People with Parents podcast is the perfect place for family caregivers to find a laugh. Comedian and author Leighann Lord discusses the emotional aspects of caregiving, such as role-reversal and relationship changes, using casual storytelling and personal interviews. You’ll find caregiver information on many relevant topics presented with a helpful and upbeat tone. Jana Panarites hosts the Agewyz podcast, a show dedicated to reminding caregivers that they aren’t alone. Her show covers a wide variety of topics, including health challenges and common stereotypes about aging. Agewyz features numerous guests, including medical experts, industry professionals and people providing care and support for their loved ones. This weekly production includes personal stories, practical medical advice and lively discussions about dealing effectively with aging and the daily tasks of caregiving. Host Bill Worthington discusses a broad range of topics about caregiving and aging on The Senior Caregiver podcast, presented by Sunrise Senior Living. There, you can find discussions about caring for Alzheimer’s patients and loved ones with dementia and other forms of memory loss. Each episode features essential caregiver information, including insights about various conditions and practical tips for effective memory care. One of the most common challenges of caregiving is dealing with emotional stress and burnout. Caregivers may also have difficulty learning how to handle the grief that can accompany this stage of life. Dave Nassaney, best-selling author and longtime caregiver for his wife, hosts Dave, the Caregiver’s Caregiver with Adrienne Gruberg, founder of The Caregiver Space website. Nassaney’s podcast features interviews with medical experts, media personalities, authors and caregivers who are all working toward making the most of their lives while creating the best quality of life possible for their loved ones. Whether you’re looking for inspiration, medical information, practical advice or stories from fellow caregivers, this podcast has got you covered. Host Dale Carter offers valuable advice and personal insights about the ins and outs of supporting aging parents. Her program features interviews with experts in many fields, including Alzheimer’s, memory impairment, home care, communication, financial and estate issues and spiritual concerns. There are also episodes with caregiver information about specialized topics, such as VA benefits, managing medications, caregiver retreats and working with assisted living facilities. The challenges of caregiving don’t simply go away after the caregiving phase ends. Caregiver information about how to cope with life after eldercare is a topic that’s often overlooked, but the Healing Ties podcast is dedicated to helping listeners during this unique phase. Chris MacLellan, a.k.a. The Bow Tie Guy, uses his personal experiences and professional history in social work, senior care and ministry to help listeners develop a healthy, happy life after caregiving. A caregiver for her mother and the best-selling author of “Let’s Talk Dementia,” Carol Howell tackles a wide range of dementia and senior housing topics in her short, snappy episodes. Listeners can also submit their own caregiving questions. Presented by Senior Life Journeys, recent episodes have covered Pick’s disease dementia, caregiving for aging parents and angry behavior caused by dementia. Caregiving apps can help to manage the many aspects of care that barrage and overwhelm most caregivers on any given day. The applied technology of a caregiving app can help you maintain and update important information, get appointment and medication reminders, keep a log of activities, coordinate various caregivers, jot down notes from doctors or other care providers and stay connected with family and friends. We’ve compiled a list of some of the most impressive and helpful apps for managing a loved one’s care. Disease-specific apps (for those with a loved one who has Alzheimer’s, cancer, heart disease or diabetes, for example) are also available. You may find that a single app doesn’t offer everything you need, so be prepared to try a few. Most are free or are quite reasonably priced, and they can help make your caregiving life far more manageable. CaringBridge is just that — a bridge that allows you and your loved ones to stay in touch. It’s a perfect app for a family that rallies around a loved one in need of care and for those who are facing surgeries, rehabilitation and procedures that go along with conditions such as cancer, heart disease or diabetes. The app offers a space for multiple caregivers and family members to share pertinent information, such as updates, encouragement and arrangements for care. There is also a guest book offering a place for journal entries, medical updates, photos, stories and tributes. This is a wonderful addition to caregiver apps and different from most applications in that it creates a place for more than managing a loved one’s care; users can uplift, stay in the loop and help each other through a difficult time. CaringBridge specializes in keeping loved ones connected. By focusing on this important goal, the app’s designers have created a product that not only passes along information but is also a holding place for good thoughts, encouragement and photos as well as medical and caregiving updates. These features make CaringBridge a uniquely thoughtful and comprehensive tool. Lotsa Helping Hands is a caregiving app that helps you create a community of support around your loved one. You can invite family, friends, volunteers and care aides to join and then manage everything from sitters and errands to appointments and family gatherings using an interactive calendar. There’s also a section of the app called “Helping Hands,” which serves as a message board and a well-wishing wall where caregivers, family and friends can leave messages of encouragement for the person receiving care or for someone else in the care circle. This app lets you choose coordinator and community member pages where you can update contact information, birthdates and list best times to call. These features make Lotsa Helping Hands a good resource for creating a vibrant care community. Caring Village was designed specifically for family caregivers to help them easily coordinate and keep track of their loved one’s care. Caring Village CEO and Co-founder Mike Behrman says he was inspired to launch the app after he and his wife became caregivers for his mother-in-law, who has dementia. “We realized that the most important thing we needed to do was communicate effectively with other family members, her care professionals and neighbors,” he says. The app is meant to enable family caregivers to do just that via a secure messaging system where users can create “villages” among friends and relatives to help coordinate the specifics of a loved one’s care. CareZone is another free, care-based app. You can keep all of your loved one’s pertinent information on the secured app and invite family and friends to view and participate in his or her care. It has a place for notes and observations, a task list, medication logging (including pharmacy numbers, dosing, prescribing physicians, etc. ), a place to upload photos and you can even send a voice message to up to 100 recipients. That’s one impressive app! For a free app, this covers most of your informational bases. It’s excellent for storing and sharing information and keeping it all secure. CareZone isn’t just a caregiving app; family members of all ages can use it. eCare21 provides round-the-clock patient monitoring through wireless and wearable devices (such as a smart watch, Bluetooth or FitBit device). You can track the wearer’s heart rate, activity, medication, weight, glucose, calorie intake and sleep. You, your loved one, other family members and doctors can access this useful information no matter where they live or work. eCare21’s latest technology allows you to monitor your loved one’s care needs without being intrusive. It’s ideal for working or long-distance caregivers because it provides vital health data, enabling caregivers and emergency services to accomplish faster response times. Any caregiver knows the frustrations and concerns involved in medication management. You have to remember when the medication should be taken, whether or not to take it with food, avoiding double dosage, any side effects to watch out for and you must make sure to track the medication for benefits or drawbacks. Medisafe Meds & Pill Reminder can help alleviate some of these concerns with reminders, helpful and practical information and by connecting caregivers, seniors and the medical community together to provide cohesive care. While some users have noted frustrations with loading several medications at various time intervals, it should also be mentioned that MediSafe receives high marks for customer support. Each online review or concern is addressed by the app’s support team. Medisafe is unique in that it’s not only a medication reminder but also educates people about their condition and the medicines they’re taking. Medisafe can help to provide reminders, track progress and will even find coupons and discounts. 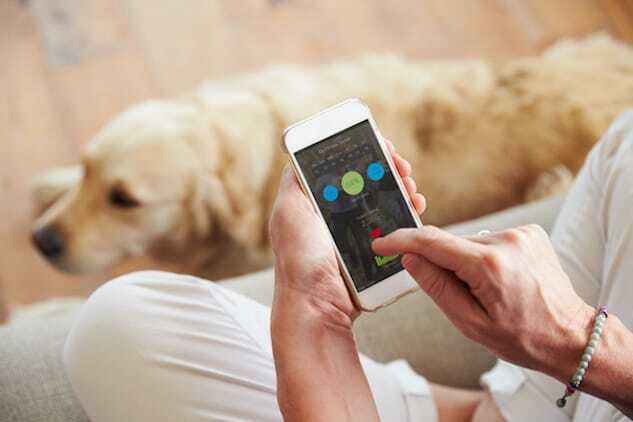 Medisafe is designed for users of any age, for caregivers involved in medication monitoring and is also beneficial for physicians who want to connect with their patients through the Medisafe App. Medisafe has been featured on CNBC and in Reader’s Digest.